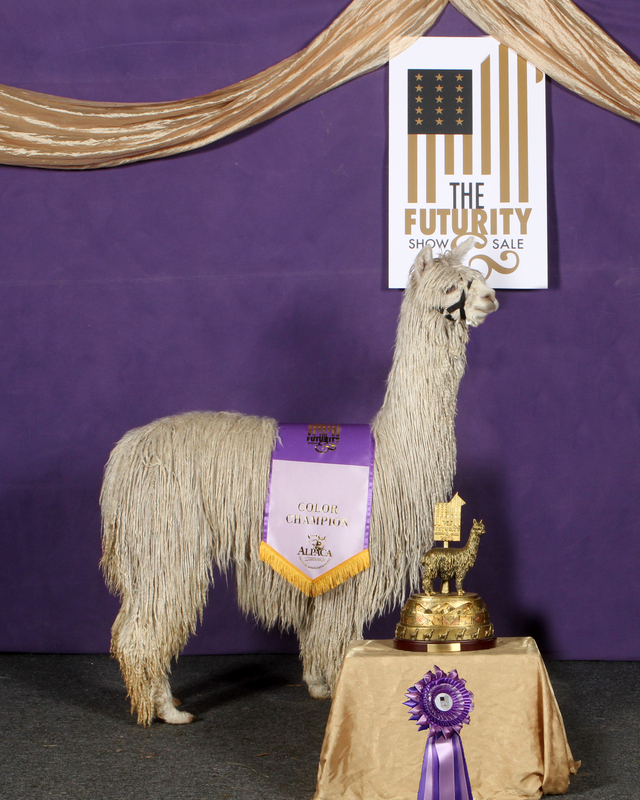 Limited Edition was undefeated during his show career in the full fleece halter class, 7 x color Champion, 4 x Judges Choice. Electrofyre Crossfyre of Lost Crrek – Crossfyre is a proven white 4 x Color Champion, including 2016 AOA Nationals and Futurity. 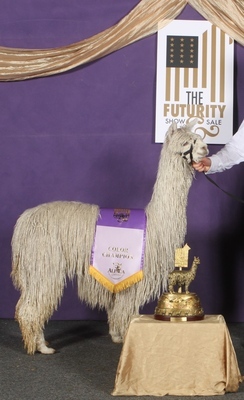 She is the daughter of WLK Electrofyre, Reserve Champion Get of Sire at Futurity 2016 and 2017 and 9 x Judges Choice with multiple Color Champions. RDE's Maserati Limited Edition ,ID# 35300366, Son of 7x CC, 4x Judges Choice Limited Edition . 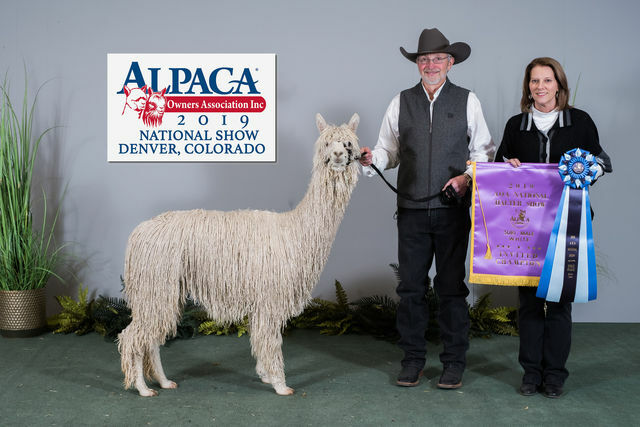 This guy has great genitics on both sides.... sire is 7x Color Champion Limited Edition and dam is 3x Color Champion, Electrofyre Crossfyre of Lost Creek. 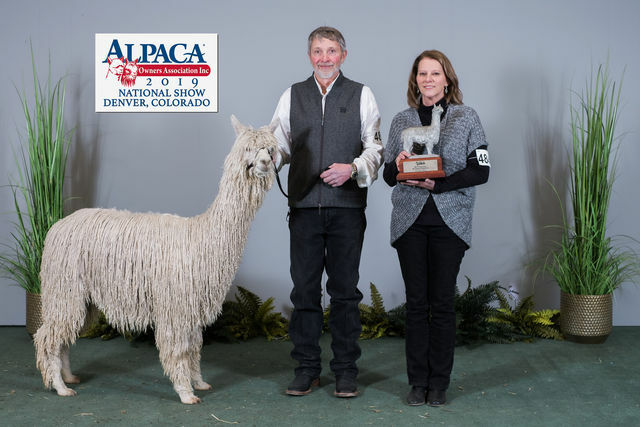 As a juvy Maserati won 2018 AOA National Walking Fleece Color Champion and 1st place in a large halter class. 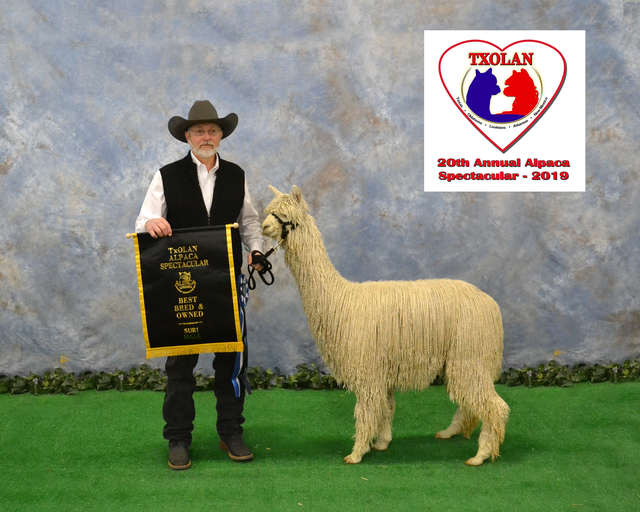 Maserati placed 1st in the 2018 TXOLAN Show with excellent commits from the Judge: Typical suri phenotype type and excellent confirmation. 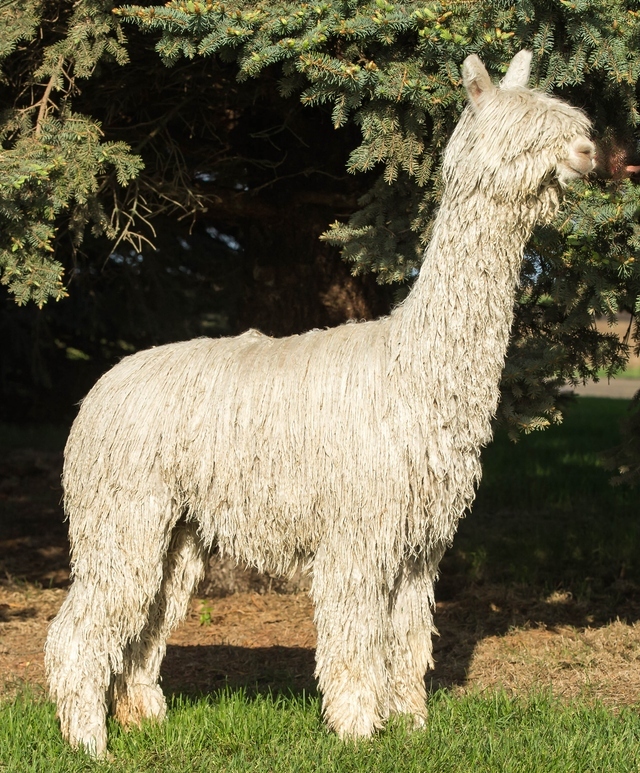 His fleece is lustrous and fine with layers and a soft handle. He has very good coverage for his age. As a yearling Maserati won Color Champion at ABR Fall Festival. 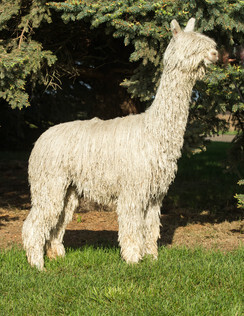 His fleece is maintaining the luster, fineness, excellent layered lock structure and density. His fleece opens up beautifully!! Grandson of Electrofyre and GoldStar..... he is one to add to your breeding program. Remember, outside breedings to WI Limited Edition are closed so this is your chance to add this lineage to your herd. 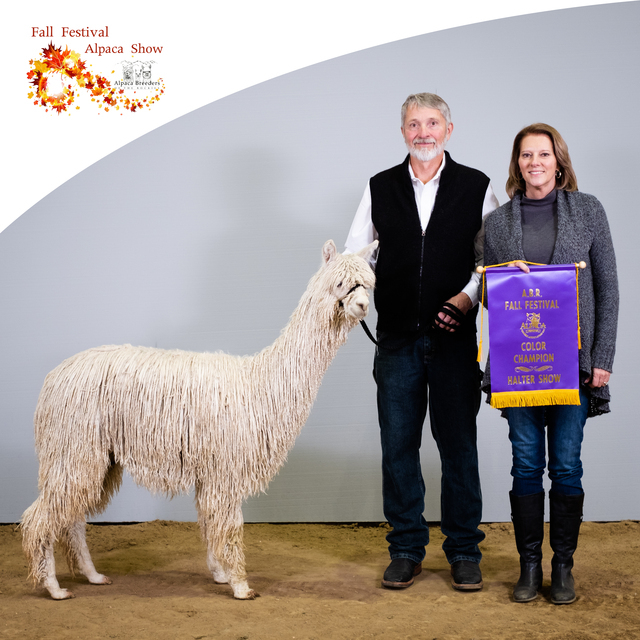 Champions Bred To Champions = Champions"
This boy won Color Champion in the Invited Back Champion class with 6 in the class and then went on to win win the Light Suri Male Supreme Champion. This was a huge honor for us and we are so proud of this boy. 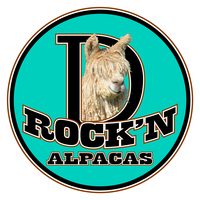 He is ready to go into your herd to be your next herd sire. Maserati is a 8 x Color Champion and 3 x Judges Choice....... WOW!!!!!!!!!!!!!! !